Moixa > Blog > Happy Yorkshire Day! At 2.9 million acres, Yorkshire is the largest county in the UK and every year on August 1st people celebrate Yorkshire Day! 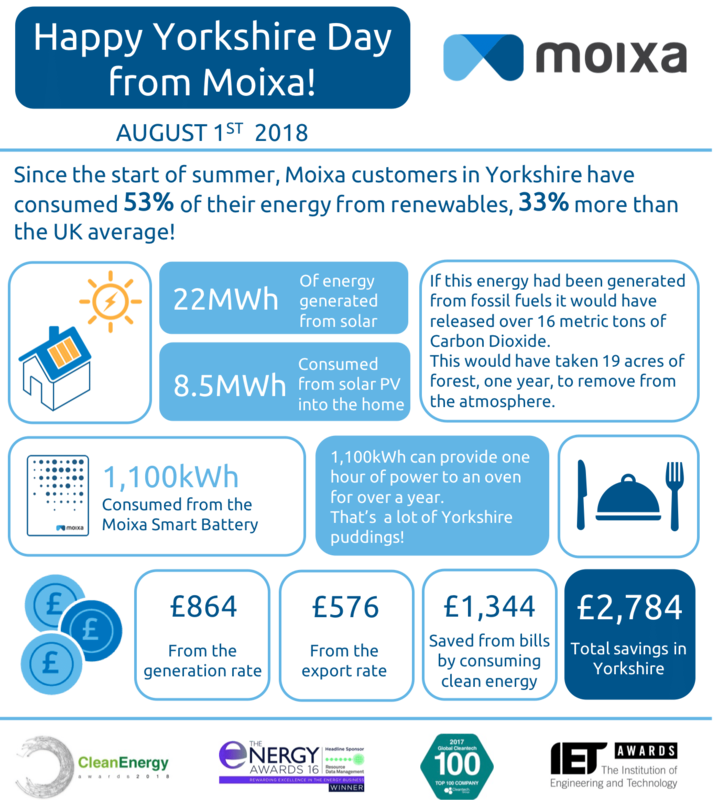 Take a look at the summertime savings of our Moixa customers in Yorkshire on our graphic below. When you install Solar panels with a Moixa Smart Battery you can save money from your energy bills, earn extra cash through FIT payments and reduce your carbon footprint at the same time. Based on the dates: June 21st – August 1st 2018.